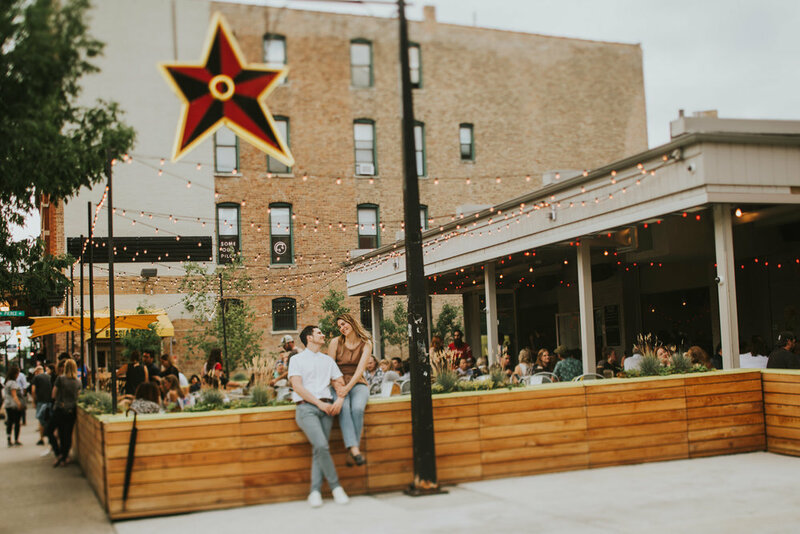 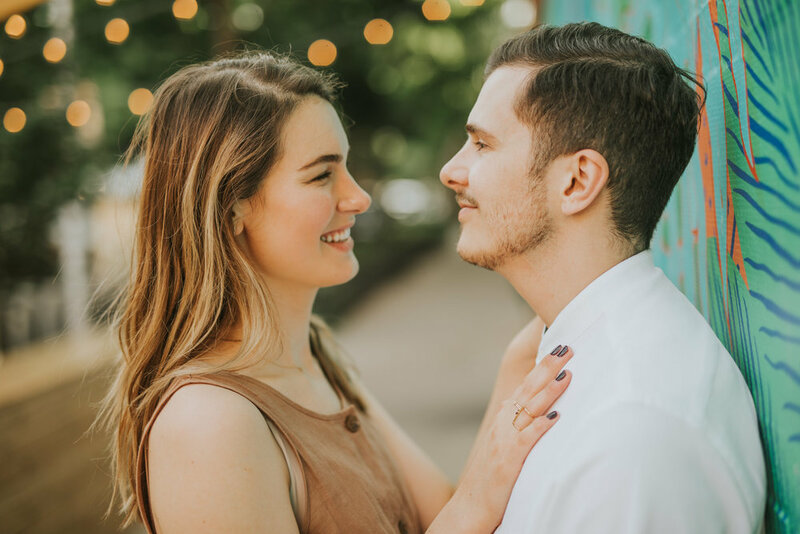 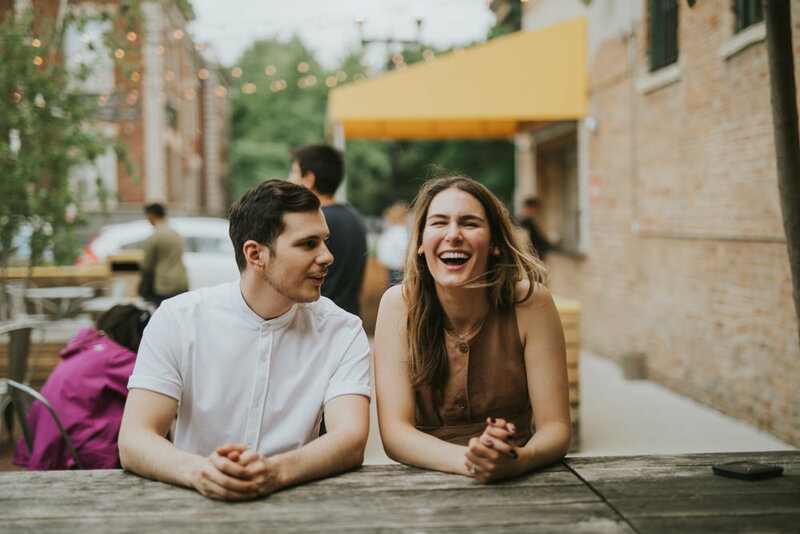 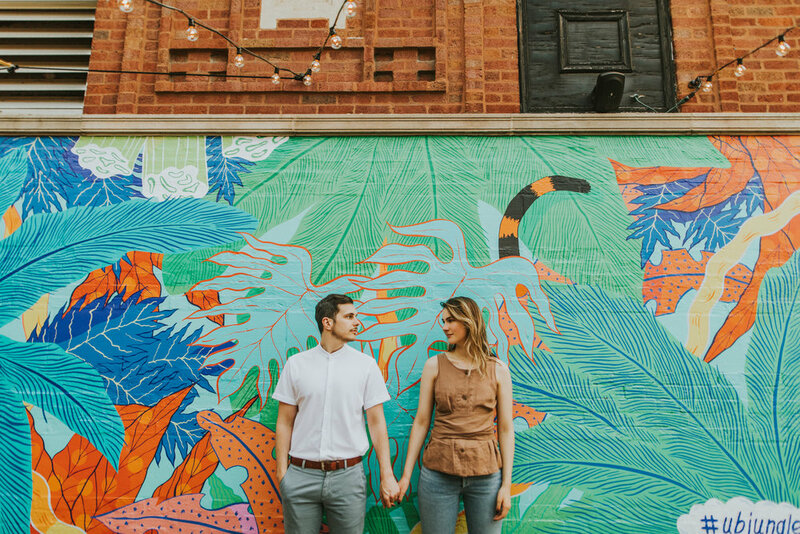 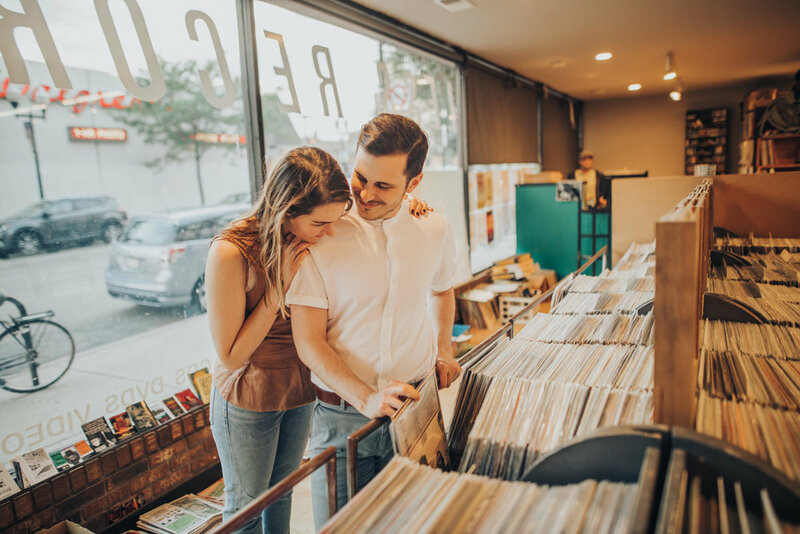 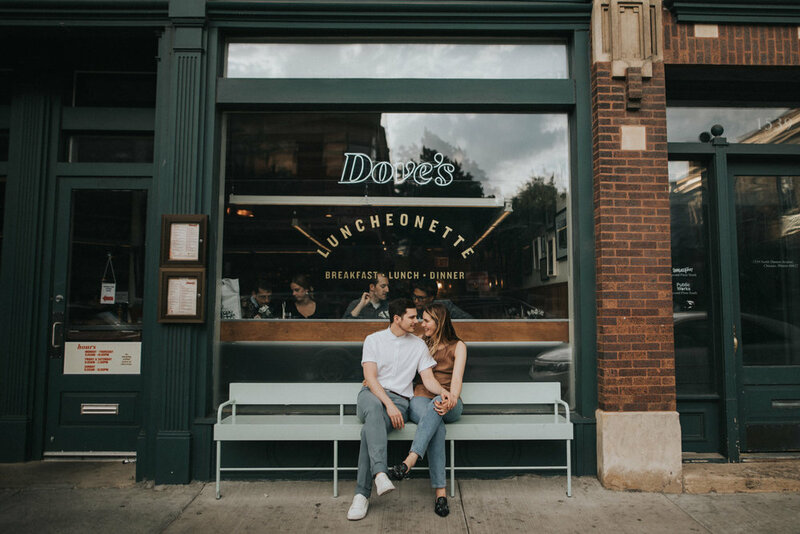 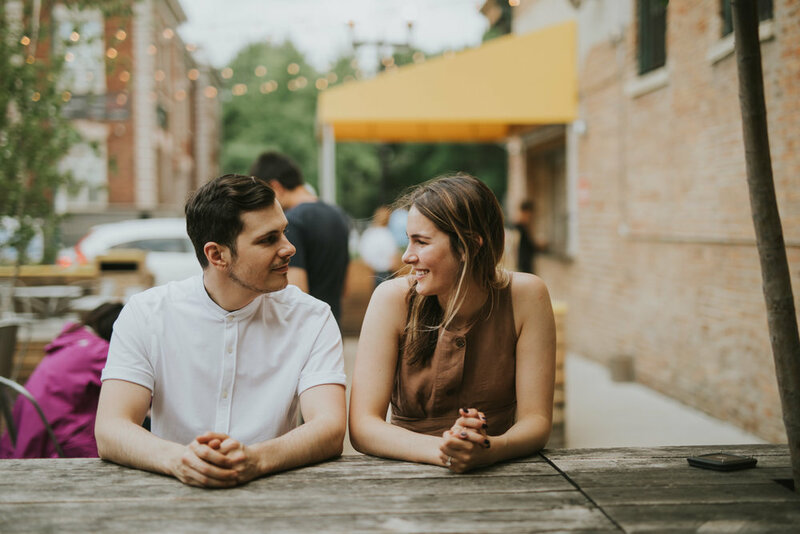 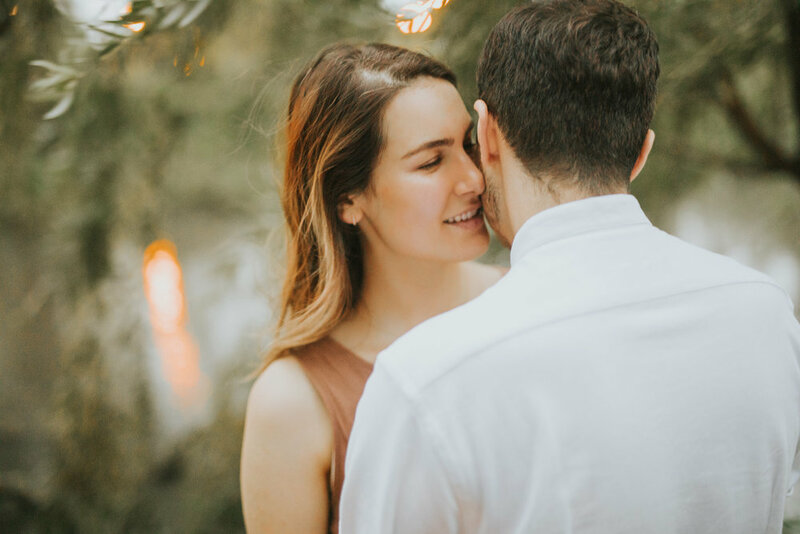 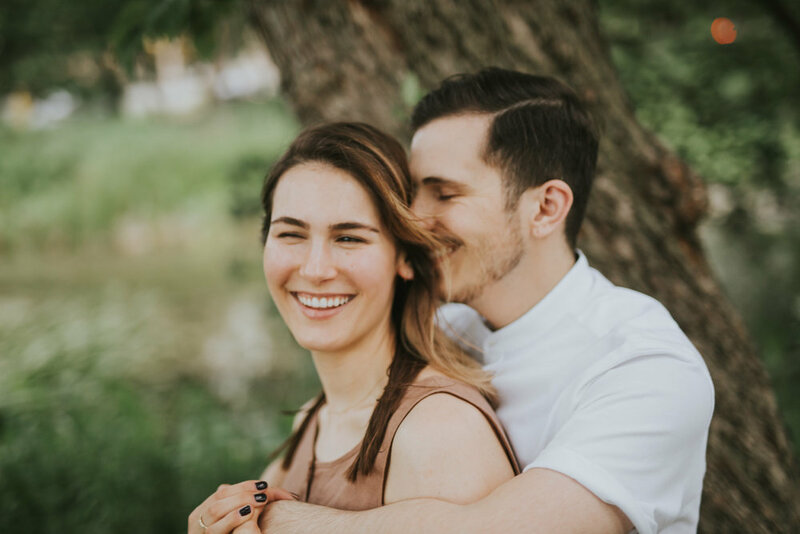 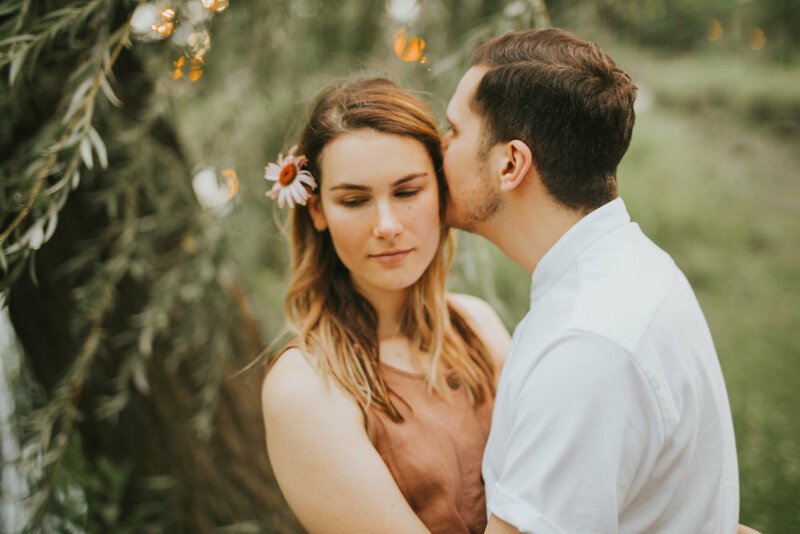 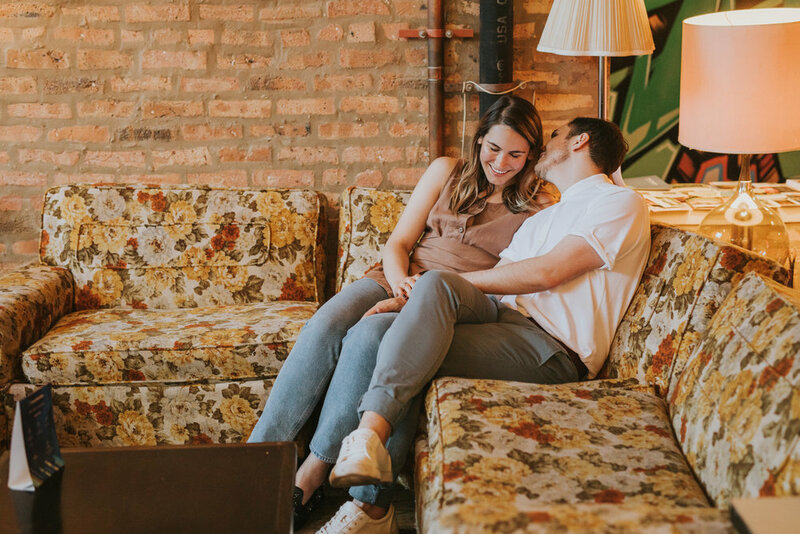 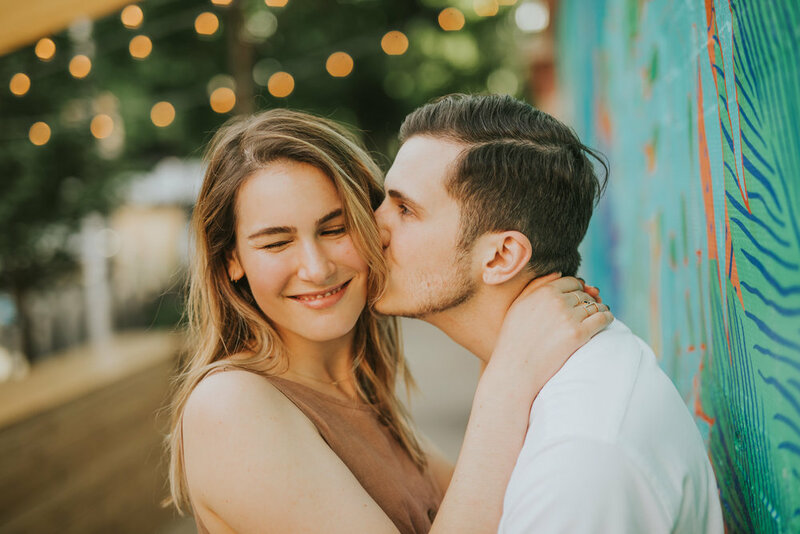 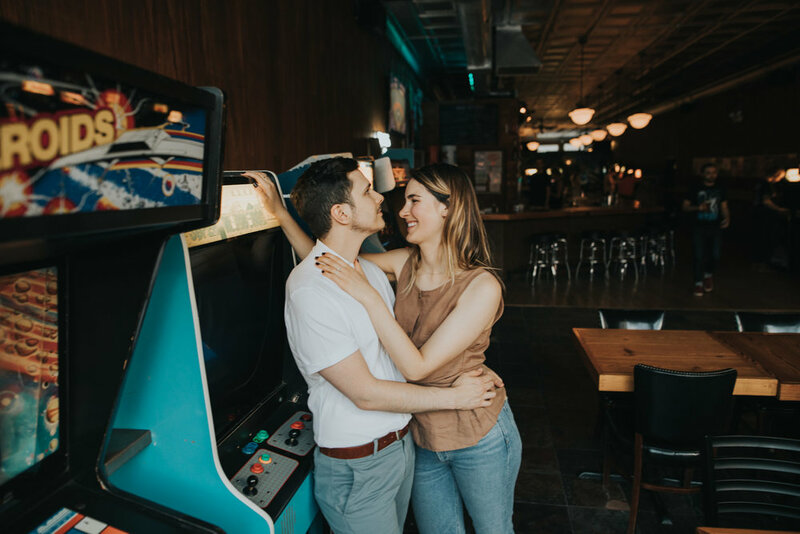 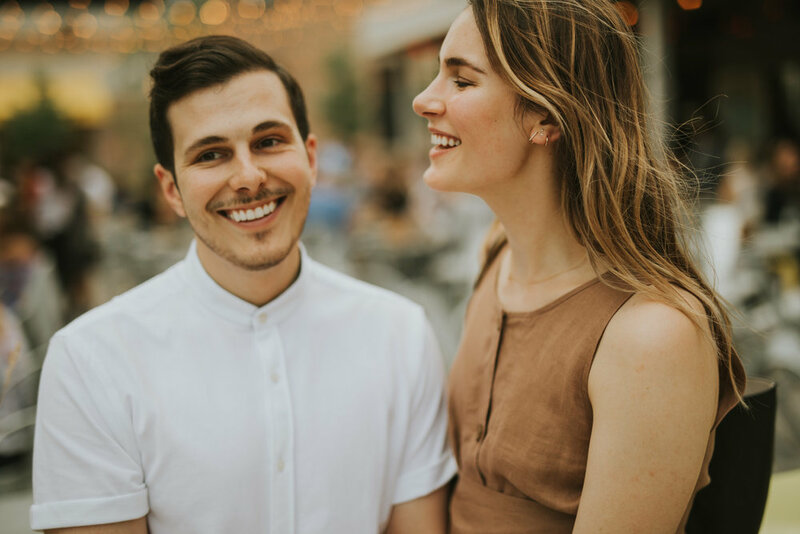 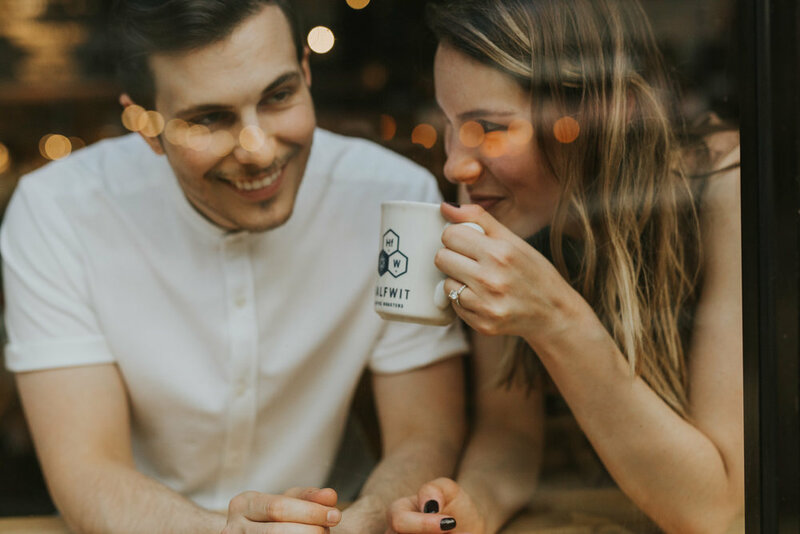 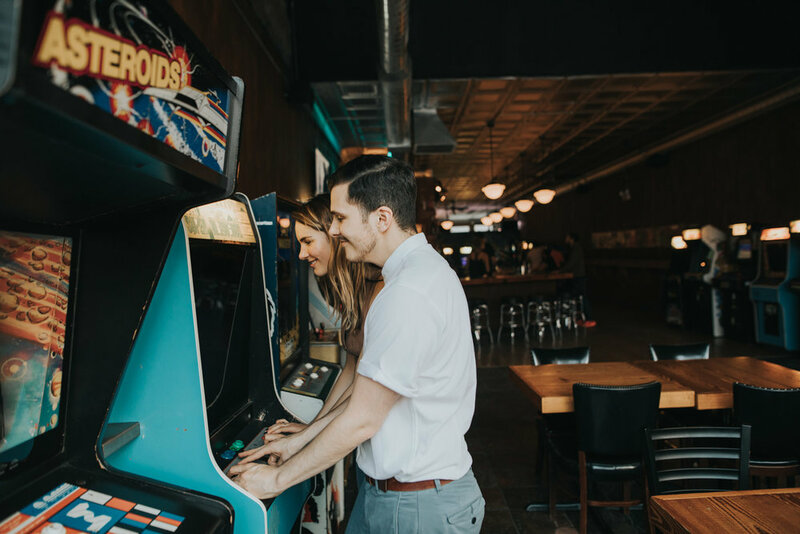 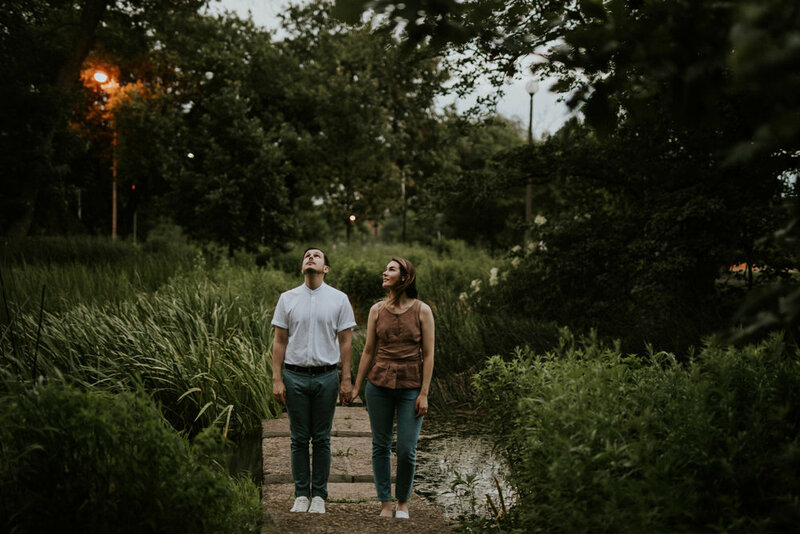 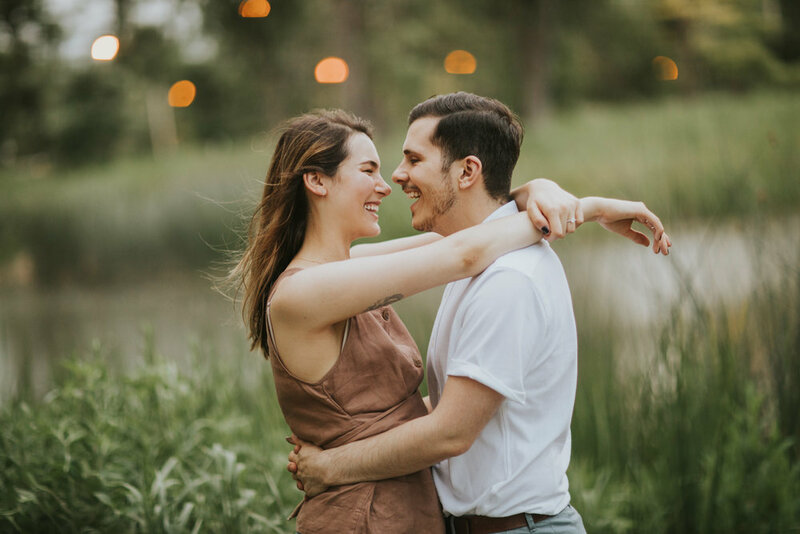 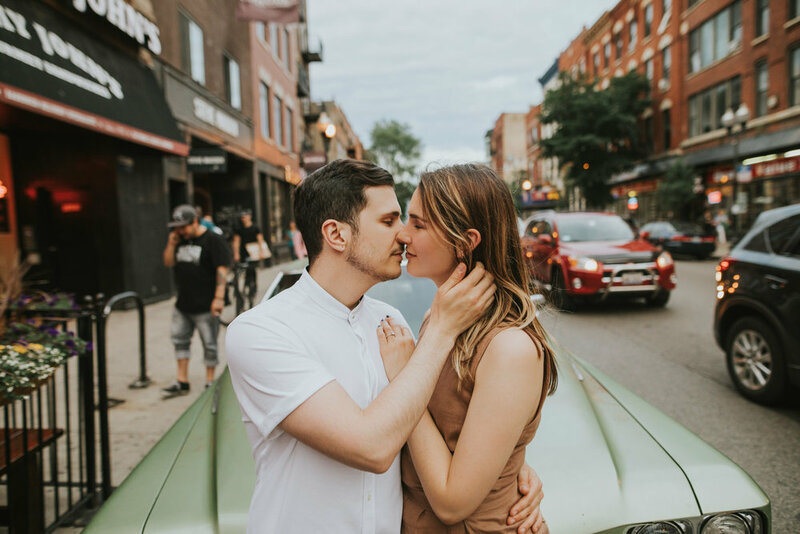 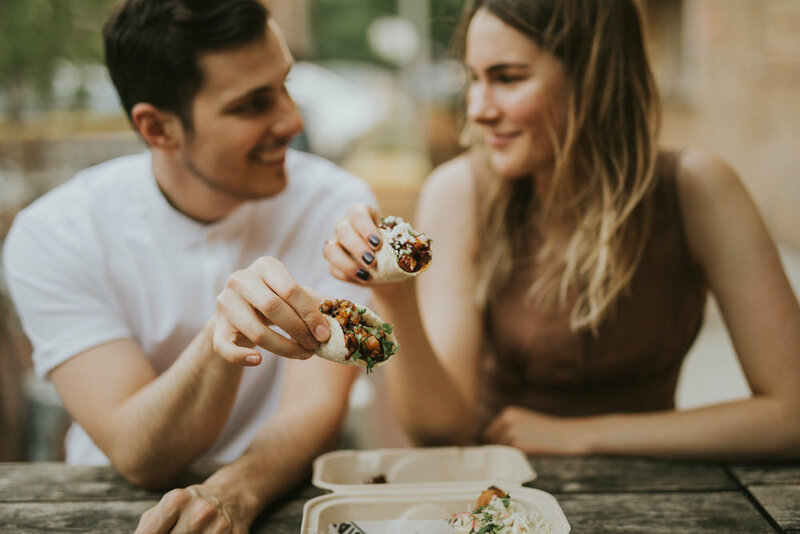 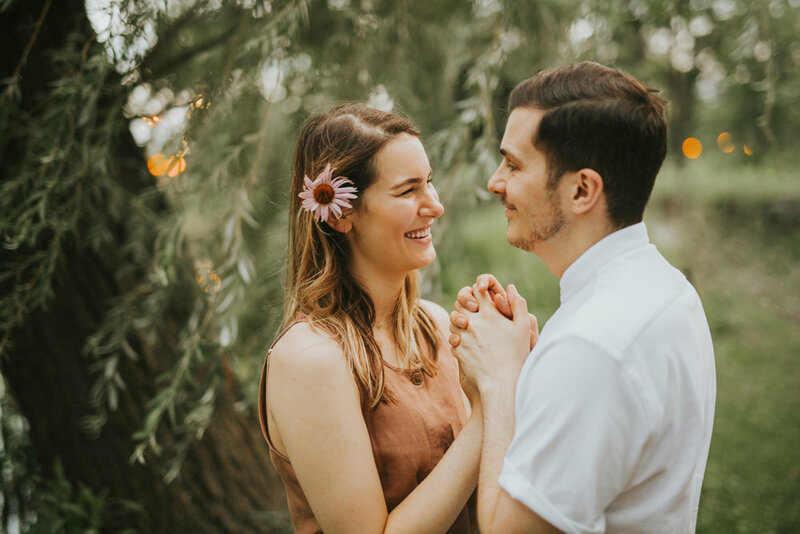 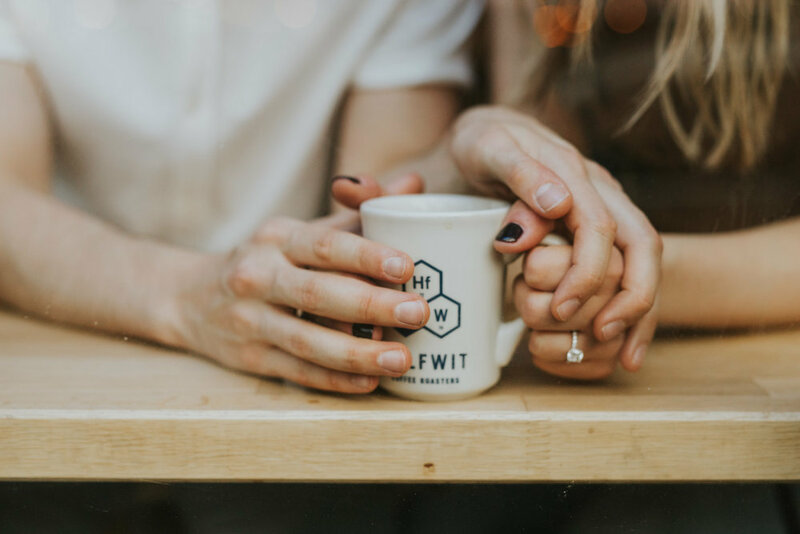 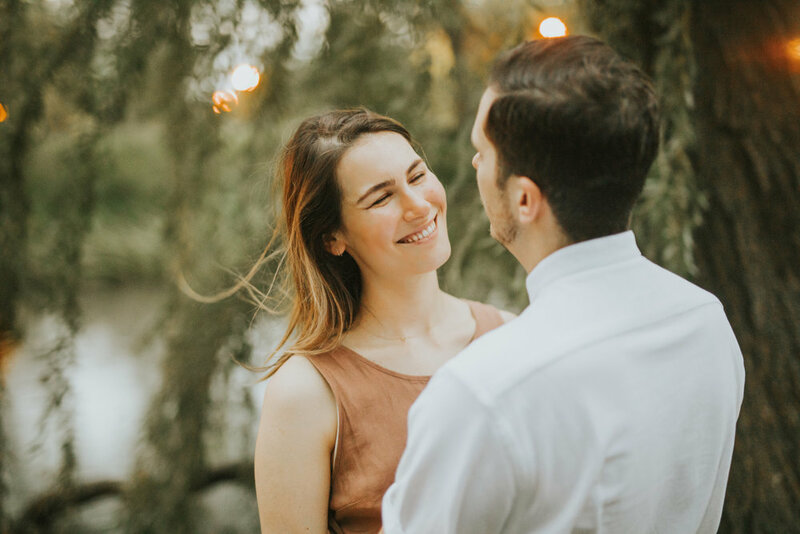 Chicago summers are meant for tacos, exploring, and looooovveee :) -- Olena and Alex chose to have their engagement shoot in Wicker Park - one of their favorite date night spots in the city. 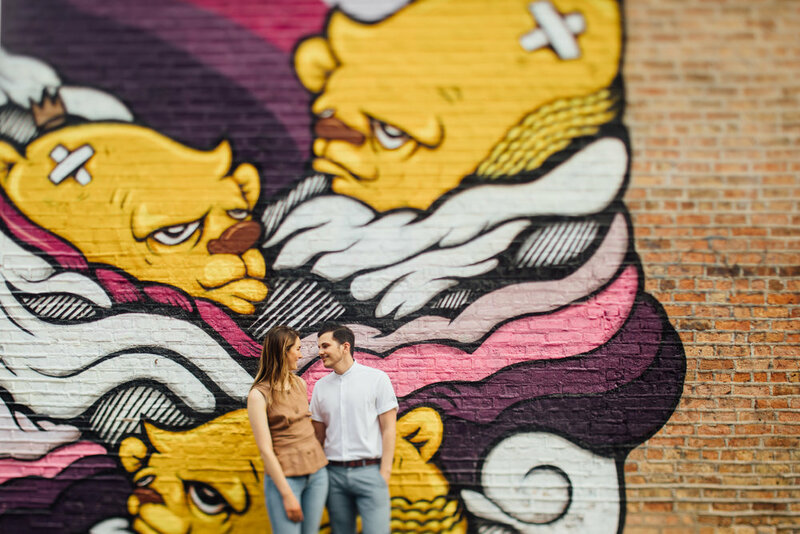 We started at the infamous Big Star and traveled our way down Milwaukee getting inspired at every turn. 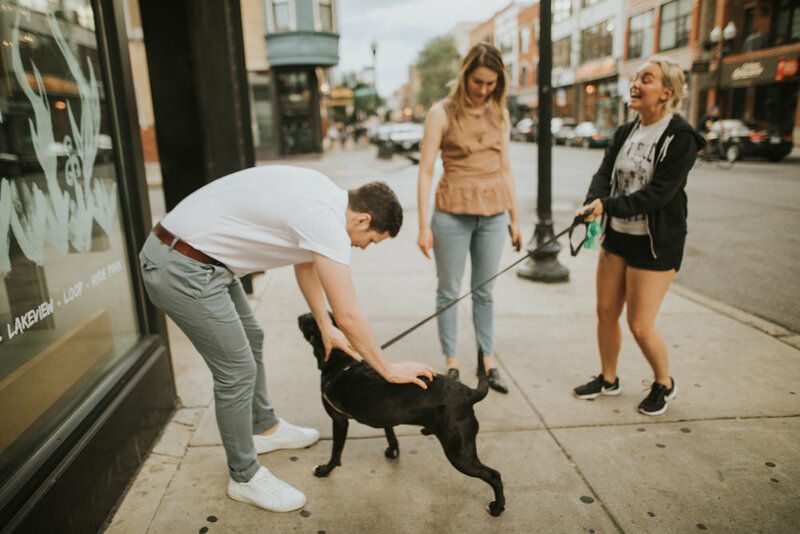 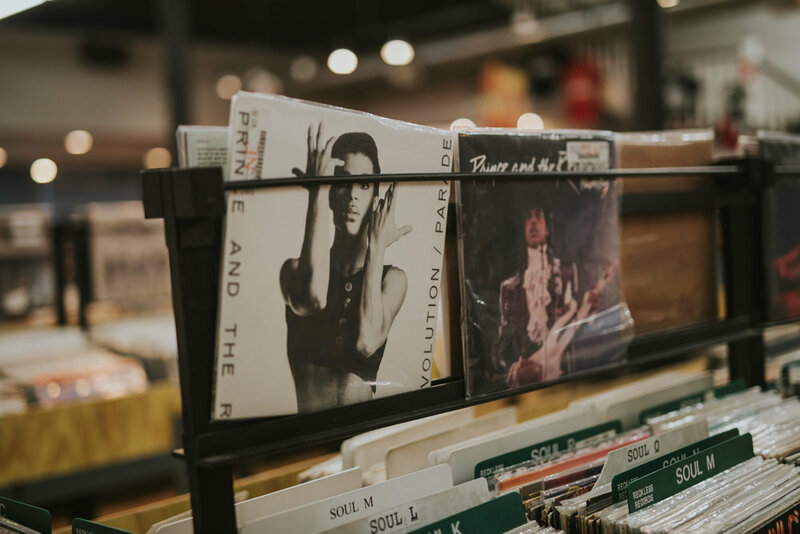 We explored Reckless Records, played video games at Emporium, and met some friendly pups along the way. 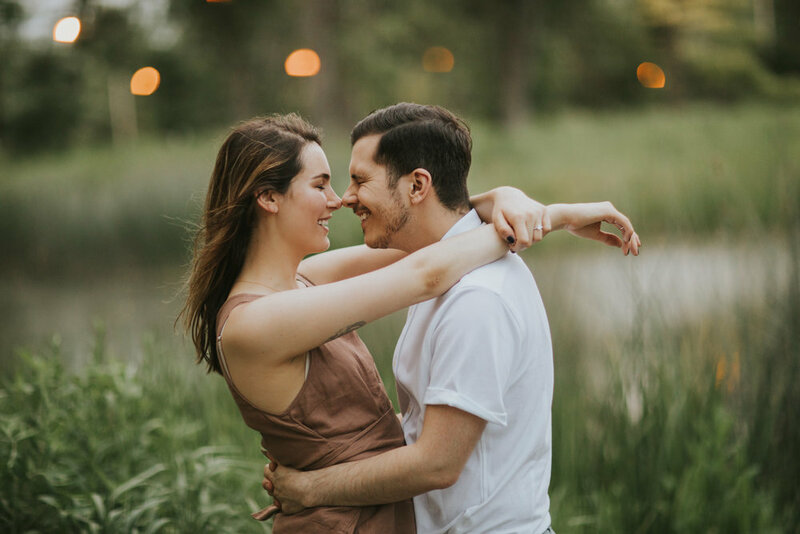 We ended the engagement shoot in Humbolt Park just before sunset.